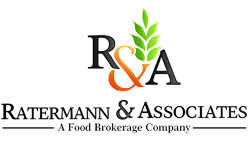 Vicki and I started Ratermann and Associates as a small family business in 1990, and though out the years we have continued to have a family approach to how we do business. Vicki and I have worked side by side for all 29 years , both sharing equal responsibility, our son Joe joined the company a few years ago . Everyone who works with Ratermann is treated like family, whether it’s one of our longtime dedicated employees or the manufactures we represent such as Trident Seafoods, with whom we’ve had the pleasure to work with since we opened for business almost 30 years ago. This continuity of ownership for 29 years has earned distributor respect and cooperation, manufacturer loyalty and trust, operator knowledge and relationships. We combine these attributes with a never ending sense of urgency to accomplish our sales agenda.